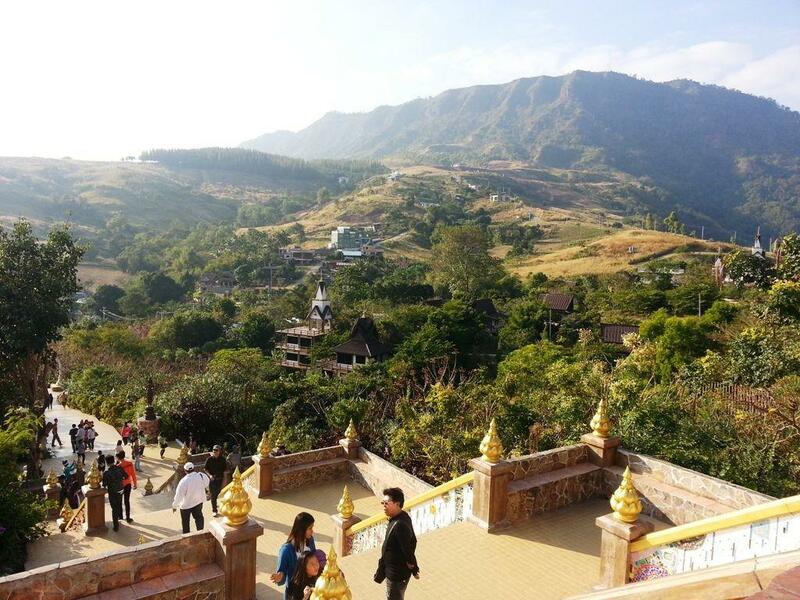 Wat Pha Sorn Kaew, also known as Wat Phra Thart Pha Kaew, is a Buddhist monastery and temple in Khao Kor, Phetchabun. It is located near highway 12, a few hundred meters from the town of Kheam Son, between Phitsanulok and Lom Sak. It sits on an 830 meter mountain peak and the literal translation of the Thai name means “Temple on a Glass Cliff”. It is claimed that the main pagoda and surrounding buildings are adorned with over 7 million colorful mosaic tiles and pottery items. These are beautiful, and are a pleasure to observe, but the most impressive structure is the Five-Sitting-Buddhas statue. The Wat is a unique and spectacular building, Some claim that it even rivals Notre Dame in Paris, The Sistine Chapel in Rome and the The Taj Mahal in India. Having already seen these famous buildings, I would make this comment. Although Wat Pha Sorn Kaew is a spectacular temple, the standards of methods of construction in Thailand does not match that of what I saw in the above 3 famous landmarks. On the last visit there were already many tiles falling off, however I actually enjoyed this temple and monastery more than my visits to the above mentioned famous locations. In my opinion, the natural beauty and the mountain setting of this temple wins over ancient history hands down! The entire site is a visual feast of color and light that has to be seen to be believed. What the temple lacks in history, it more than makes up for in beauty and atmosphere. Despite its location, its grandeur and its beauty, it gets almost no western visitors although on my last visit there were more Asian visitors than on previous visits. This however is rapidly changing. In December 2013 I was standing in the temple grounds and TripAdvisor said that there were no attractions near me. In June 2015 it is now listed in TripAdvisor and has 98 reviews. 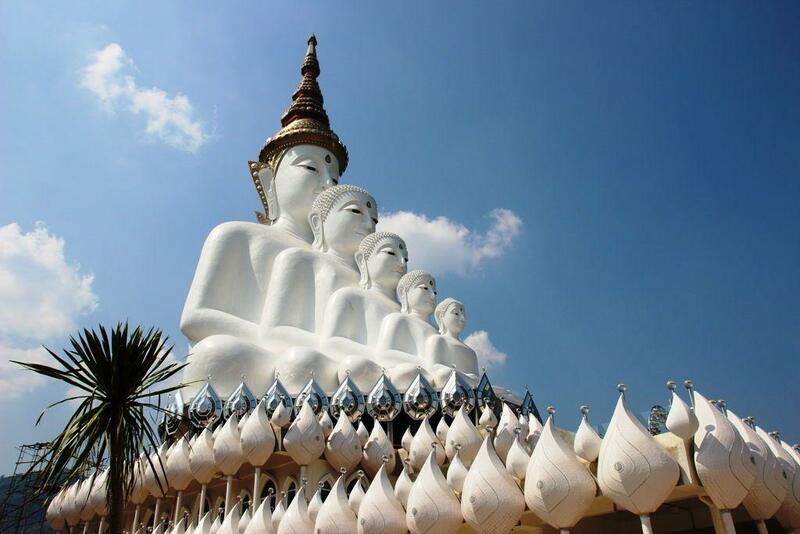 A visit to Wat Pha Sorn Kaew and the surrounding area will be part of a Thailand Tour experience you will never forget. Set your GPS navigator to 16 47 22, 101 2 57 and it will take you to the spot where many of the images in the picture gallery were taken.